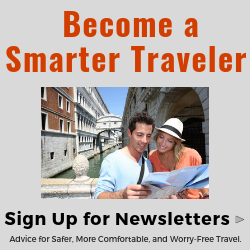 Proven Ideas from Experienced Travelers. Today’s money belts are not your father’s money belt. A money belt can be your most important accessory when you’re traveling, especially when visiting busy and popular tourist attractions. It is in these locations where pickpockets and thieves are most likely to target their marks. A money belt depending on its size and design is used to hide money, cash, passports, and other valuables that you don’t want to lose. A money belt is a personal item and is not a “one size fits all” by any means. The new models of hidden money belts have anti-theft technology plus various designs and sizes, so you’re sure to find one just right for you. Today you have a choice of traditional belts with a zipper to hold just bills, wallets you wear on your leg and hide under pants, and even more styles which you wear around your neck or waist and tucked under clothing. These styles are made of breathable material, are lightweight, and have built-in anti-theft features. Don’t want to wear a hidden money pouch or belt? There are a number of other ways you can hide money on your person, read on. Leg Safe, won’t fall off, fits most leg sizes. In socks and shoes – Slide a few folded bills into your socks if they go beyond your ankle. If your socks are low profile you should place your money in the footbed of the sock so that you are actually stepping on it. If wearing long pants, a leg wallet is a great solution. In underwear –An alternative solution is to put a bit of cash into a small plastic bag and slide it down the front of your underwear –as long as your underwear fits snug. One thing to consider is that the plastic of the baggy against your skin will most likely generate perspiration and become uncomfortable. Some travel underwear now includes a sewn in hidden pocket. Under your jacket or shirt – The Wellspring Ideas Travel Pocket RFID Hidden Holster Shoulder Wallet is a great solution as you can wear it under your jacket or shirt. This clever wallet is 100% non-metal as well, so it won’t beep when you pass through a metal detector like at an airport. In a hidden pocket in pants – You will have to be a little creative with where you put the pocket and handy with a needle and thread. A small pocket can easily be sewn into the bottom of the inside of a pants leg and can go completely unnoticed. This would be ideal for cash or a credit card. Two other good locations for attaching a hidden pocket are next to the zipper or near the waistband. Both are highly likely to go unnoticed This kind of pocket can be secured at the top with a little Velcro (one strip on the inside of the pants leg and one on the piece of pocket material) a safety pin, or snaps. Carry only what you need – If it’s safer to stash things at your hostel or hotel than on you then do that. Use your judgment, sometimes it will be safer other times it won’t. If not a portable travel safe which you can lock down in your lodging accommodation may be just what you need to guard valuables. Divided up your valuables – If you do have to carry valuables on you while traveling then divide them up and store them in at least two places. It hedges your bet that if someone finds or gets some cash from one location on your body they may think they’ve got it all and move on. Diversion wallet – Keep some of your more valuable possessions in an obscure pocket or hidden wallet like one of those mentioned above and have a ‘fake wallet’ with a few dollars in it to give to the crooks should you be approached. You could even go as far as throwing it onto the floor in one direction and running in the opposite one. Stretch pocket expands to fit phone & passport. Hide under a shirt. Use pockets that you can secure the opening closed – You’re more likely to lose valuables to stealthy opportunists such as pickpockets than you are to a robber, or hold up, – so don’t make it easy for the pickpockets. If you have pockets with zippers, buttons or Velcro, get into the habit of using those instead of open pockets – and get into the habit of re-securing them afterward. 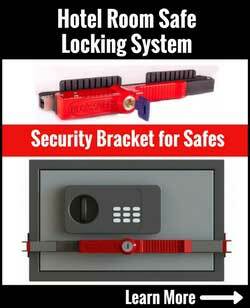 The more difficult the pockets are to open the more secure they will be! Better yet, use wallets designed to thwart thieves that attach to your clothing with a chain or travel money belts specifically designed to hold a phone and passport. 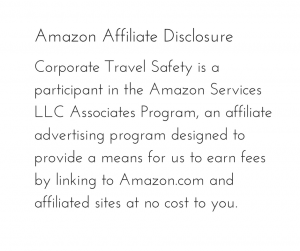 The objective is to enjoy your trip with peace of mind and not focused on your valuables. 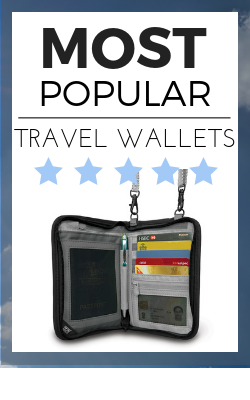 Before you depart on your next adventure, do some research and see all the new styles of anti-theft wallets and bags to help you get that peace of mind.